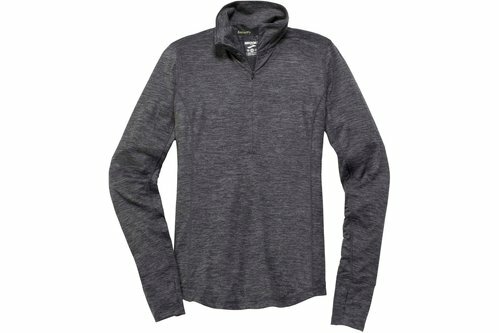 This Brooks Dash Half Zip Top is an over the head design with half zip fastening and long sleeves. It features flat lock seams to prevent chafing and is a lightweight construction. This top is a block colour design with a printed logo and is complete with Brooks branding.